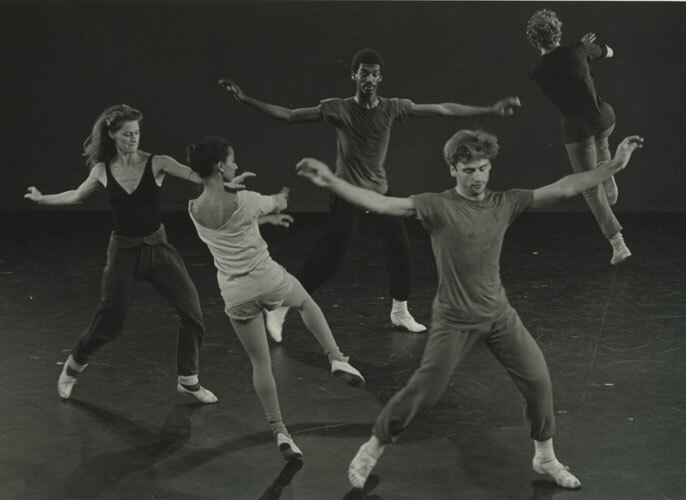 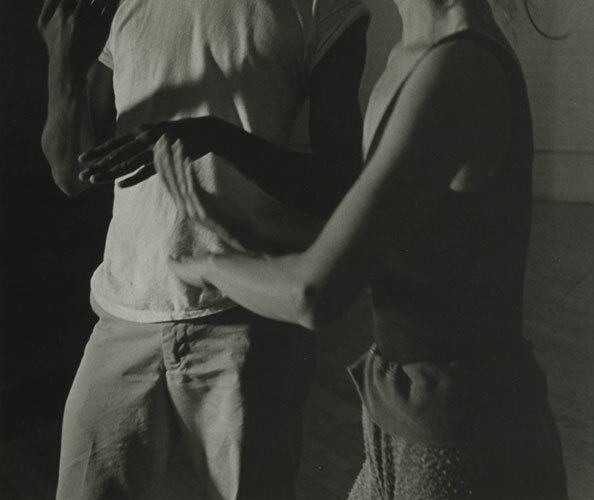 Jane and David Lusby, for whom she danced in the 70's. 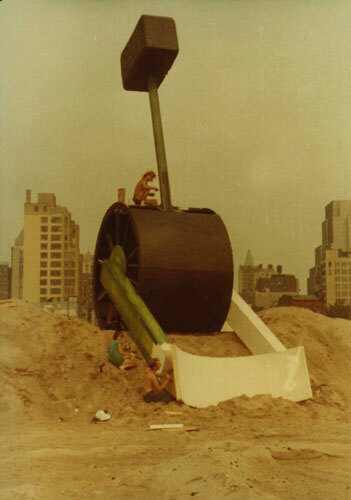 'Urban Renewal' set from 1984 Creative Time Art on the Beach. 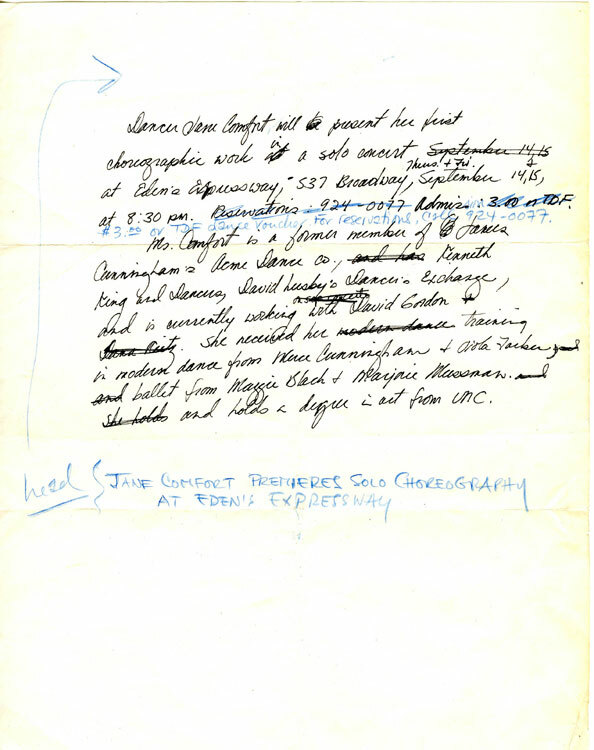 "We got some engineers to survey the site during the performance then kick the audience out because they needed the space." 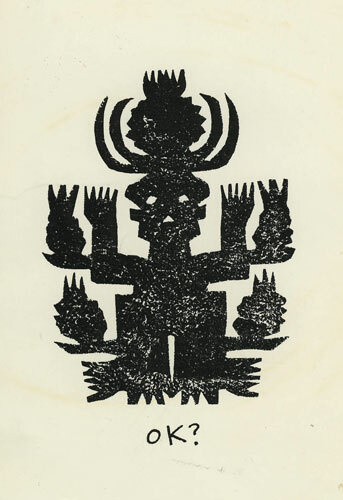 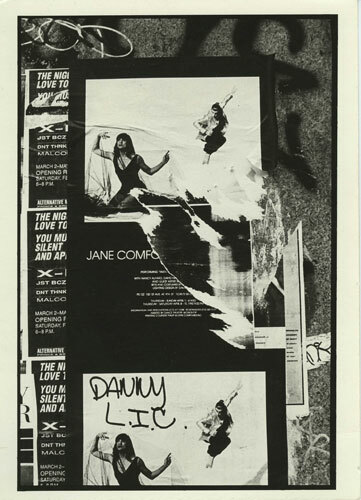 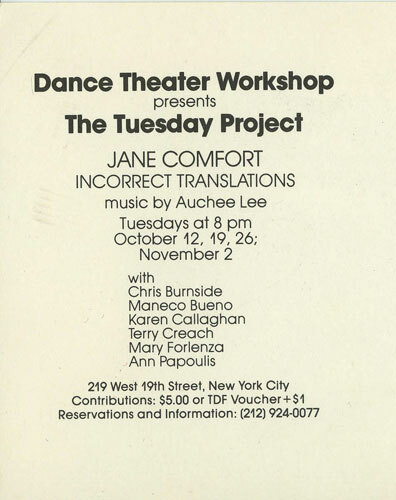 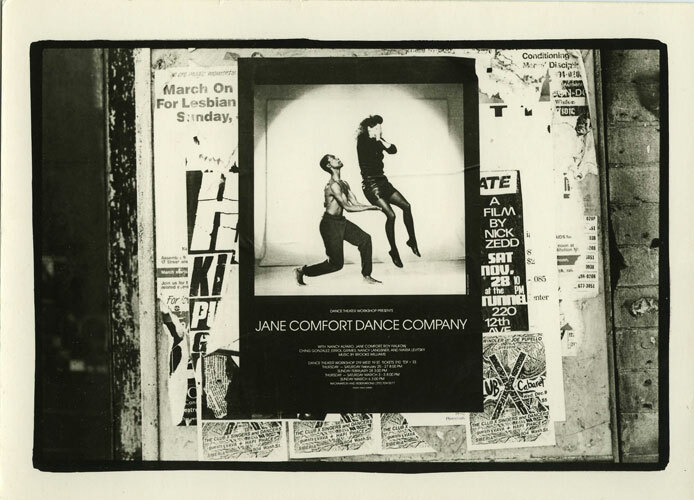 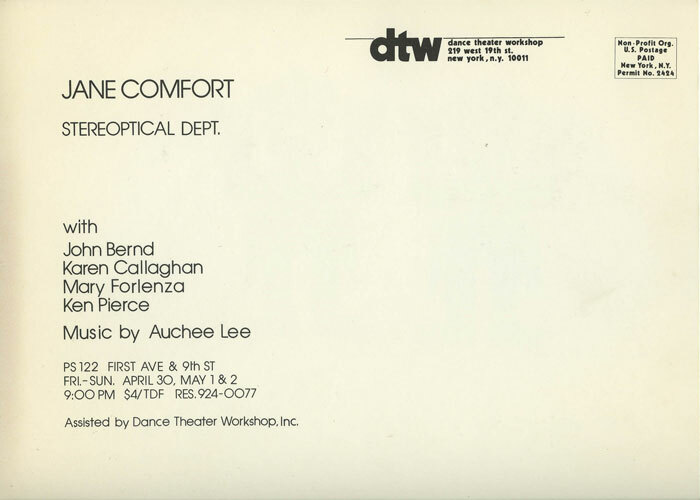 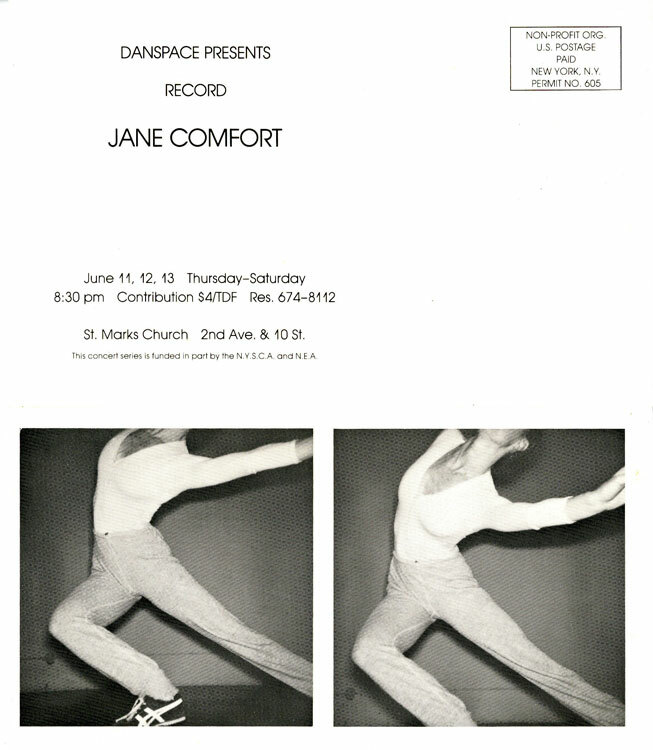 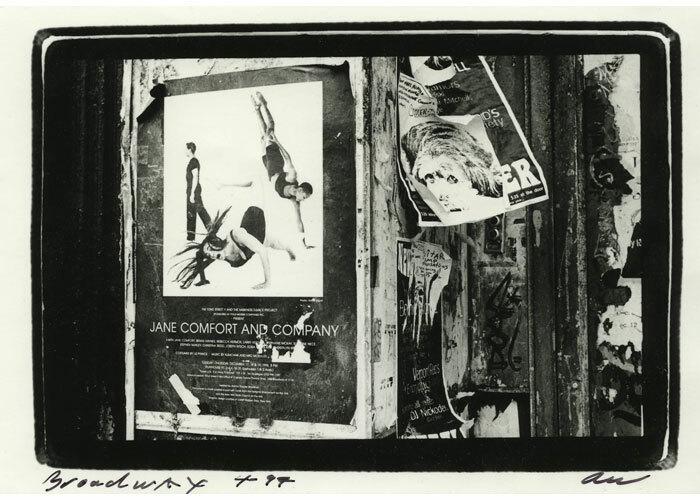 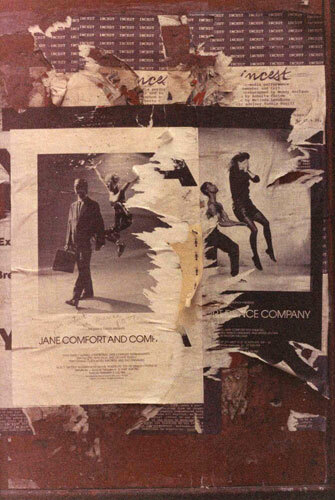 Poster of Jane Comfort's first concert. 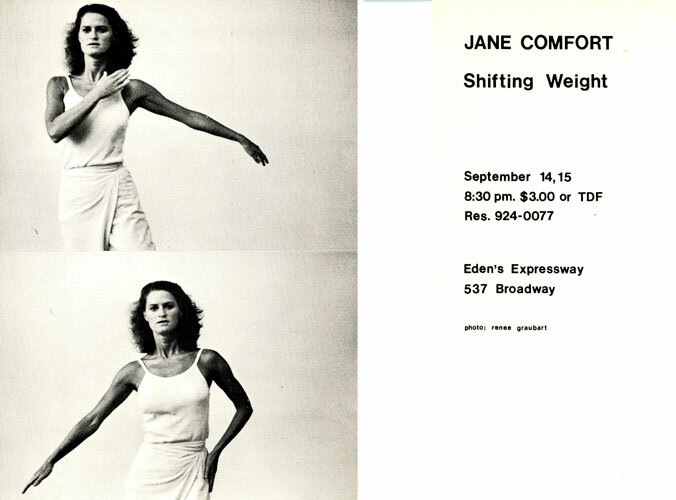 Front of the card for Jane Comfort's second concert, at Kiva on Canal St.
Jane Comfort (three months pregnant) and Danny McCusker. 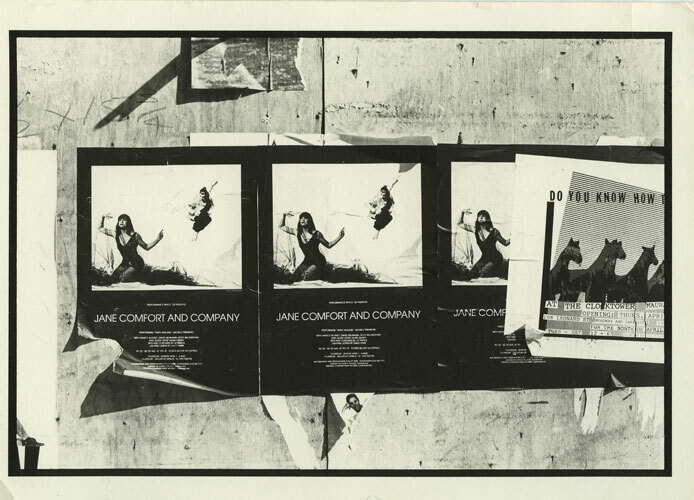 Original 'Four Screaming Women' cast 1982: Jane, Ann Papoulis, Mary Forlenza and Karen Callaghan.